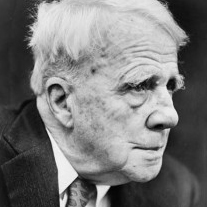 Robert Frost was one of the most well-known and widely read American poets, writing realistic depictions of rural life in early twentieth century New England. He received four Pulitzer Prizes for Poetry, the Congressional Gold Medal, and was named Poet Laureate of Vermont. Image credit: Walter Albertin, World Telegram staff photographer – Library of Congress. New York World-Telegram & Sun Collection. Frost R. “The Road Not Taken.” In: Edward Connery Lathem, ed. The Poetry of Robert Frost. New York NY: Henry Holt and Company;1969. Robert Frost’s 1916 poem “The Road Not Taken” remains, 100 years after its publication, one of the two or three most widely read poems in the U.S. It is taught in classrooms, quoted in ads, alluded to in songs, and pillaged for book titles. Poet Randall Jarrell, Frost’s junior by 40 years, referred to Frost’s poetry as “magically good.”1(p.85) Thousands of readers have memorized “The Road Not Taken,” some, it is edifying to note, even without the aid of an English teacher’s insistence. A less widely recognized reading, which David Orr has explored extensively in his 2015 book on the poem and its “misreadings,” suggests that the poem is not at all about personal independence, but, ironically, about the ways we construct our stories after the fact, assigning significance to suit the shape of a good story.2 He notes, as others have, the fact that both roads “that morning equally lay / in leaves no step had trodden black.” It is morning. Autumn leaves have fallen and (this being New England) carpeted the paths so thickly it is impossible to tell which is “less traveled.” They lie equal. One might as well take the left as the right. To foreground that line is to recognize the role of chance (or fate or providence or intuition of which we can give little account) in what turn out to be our most consequential decisions. What unfolds from those moments may well be a series of choices that have “made all the difference.” But the choice of the road itself is less an act of courageous independence than a decision more like that of Melville’s Ishmael who did not set out on a heroic journey, but simply, “having little or no money in my purse, and nothing particular to interest me on shore” thought he would “sail about a little and see the watery part of the world.” Thus two great American journeys begin in a strangely offhand, open-ended way. Jarrell, Randall. “Fifty Years of American Poetry.” No Other Book: Selected Essays. New York: HarperCollins, 1999. Orr, D. The Road Not Taken: Finding America in the Poem Everyone Loves and Almost Everyone Gets Wrong. 1st New York, NY: Penguin Press; 2015. Dickinson, E. “I Dwell in Possibility” In: RW Franklin ed. The Poems of Emily Dickinson. Harvard University Press; 1999. 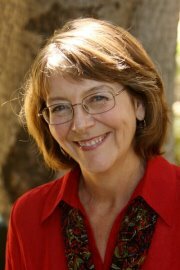 Frost, R. “The Gift Outright”: Poem recited at John F. Kennedy’s Inauguration. John F. Kennedy Presidential Library and Museum. http://www.jfklibrary.org/Research/Research-Aids/Ready-Reference/JFK-Fast-Facts/Frost-Gift-Outright.aspx. Accessed May 13, 2016.